Minimalism in art was seen as ultimate simplicity in contrast with complexity seen in earlier artworks and movements. It was viewed as a progressive form of expression and observation, and challenged the notion of intricate and over-complicated works. The characteristics continue to this day of geometric form incorporating industrial materials, and reflect a time of reevaluating over-analysis of a somewhat often superficial context. Less Is More is an exhibition with an accompanying publication produced, showcasing a young generation of Australian artists from Melbourne and Sydney in the 1960’s, who explored the Minimal movement and its development through a range of media. 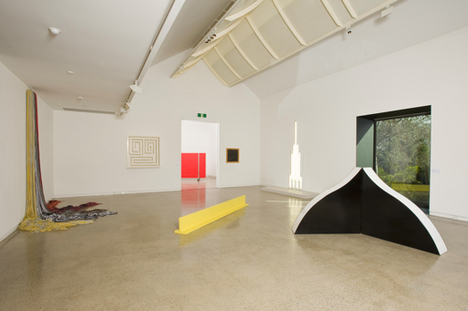 Over 30 Australian artists are featured including Roberta Jacks, Mikala Dwyer, Nigel Lendon and Elizabeth Gower, who were at the forefront of the movement originally inspired from the U.S. Their works of video, paintings, sculptures and light works are exhibited alongside, and accompanying key pieces from American minimalists Dan Flavin, Donald Judd and Robert Morris. 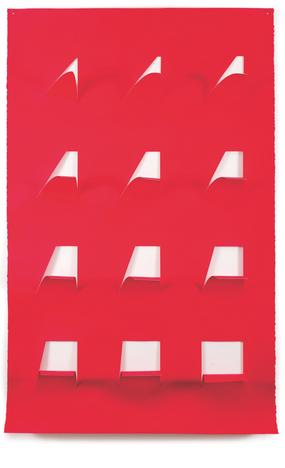 Abstract painting and sculptures were dominant in minimalism and post-minimalism, as reductive and contemplative pieces. Less Is More encapsulates the description of both perfectly, “as an anti-thesis of the complexities of daily life”, as Australian artist Elizabeth Gower explains. Delightfully, the placement of the artworks in the exhibition are as innovative as the pieces themselves. 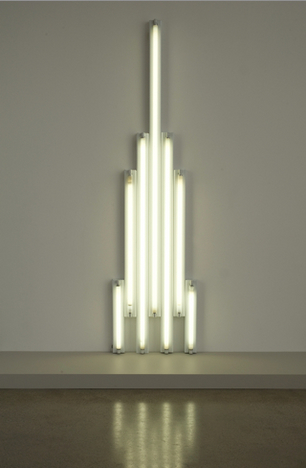 Held in Heide’s main gallery space, you are immersed in an ocular delight from Dan Flavin’s ‘monument to V. Tatlin 1966-1969’ as fluorescent tubes or in original published pieces by Sol Lewitt and Bruce Nauman. Less Is More perfectly exhibits works created during an important and influential time for Australian artists in the beautiful surrounds of Heide Museum. One not to miss.